It was really great working with Valerie to buy my first home! She is very friendly, honest and has a lot of patience. She answered all of my questions and was very helpful through the whole process of buying my home. Thank You Val, You have made the experience of selling my home of 52 years that was full of memories, and hard work and Love and fun so much easier when you have a realtor who cares and understands. You are First and Foremost a Very Experienced Professional ..Who has time and wisdom on her side...Thank You. I've known Valerie for many years and am impressed by her integrity. 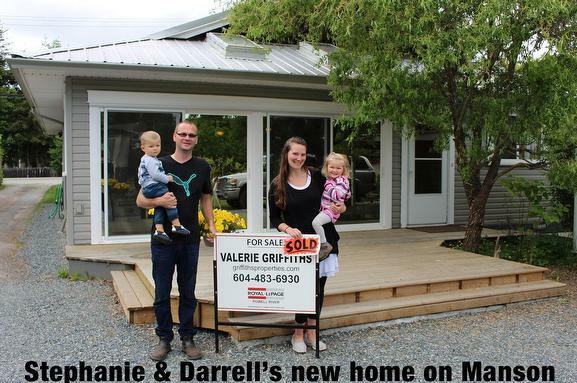 Valerie was the perfect choice to help us sell our existing house and find our new home. She was caring, supportive, and her attention to detail was just what we needed. Thank you Valerie. 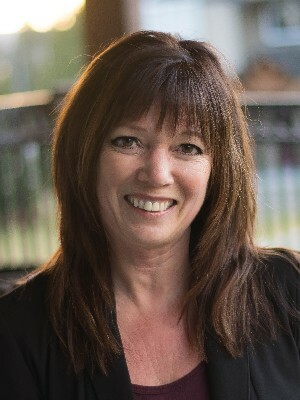 Val Griffiths is an exceptional real estate agent. Even though she doubtless has many clients, Val made us feel like we were her sole priority. She clearly explained the home buying process to us and made sure we understood and were comfortable with everything. During house viewings, she showed us what to look for and what we should avoid in a house. Val is honest gives straight answers to your questions, even if it’s not what you want to hear. During the offer writing process, Val’s most important concern was whether we were comfortable with our offer; there was no pressure from her. Val has a keen mind who understands the driving factors of home prices and was repeatedly able to accurately predict what a successful bid would look like – when we found the house that was right for us, Val was integral to writing the winning offer. We cannot thank Val enough and would recommend her to anyone and everyone. Throughout our association in the selling of my house, your competence and professionalism created a relationship of confidence and trust that resulted in a very satisfactory result in the sale of my home. You listened to the unique aspects of what I required from my end and implemented those conditions in the sales contract. I would gladly rely on your sales skills in the future and would not hesitate to recommend your real estate services to my friends and family. Thank you for finding us our new home. We love it. We appreciate your professionalism, honesty and flexibility. So helpful! Excellent services. Valerie was quick, friendly, honest and not pushy. I found Valerie to be very nice, professional and I was comfortable with her. I recommend Val to anyone wanting to sell their property, she's great to deal with, honest, not pushy and really does work hard. Val takes the time to listen to questions and concerns and has good solid answers and advice. She's a great realtor that has lots of experience and understands the needs of her clients. Val never rushed nor pressured me. She was at all times professional, kind and even got a better price for me... even though it was less commission for her. Most generous and extremely helpful. What a pleasure. Val was really great to work with! Excellent service and advice. Resourceful. Valerie has been very professional from the first contact we had with her. We had a lot of questions and concerns around the lease property. She was prompt to get answers and went beyond our other experiences. If you are a young family looking for a family home, or a senior looking for the perfect retirement package, Val is your perfect match. She is so full of zest, and has so much energy to provide the best care for her clients. From staying up all hours of the night making offers to taking care of the kids while we completed a walk through on a house, Val was amazing. Val comes with a high recommendation from us, and we hope that her name gets spread all over Powell River. Thank you Val for finding us our perfect house! !